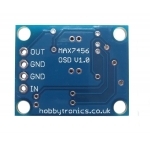 This is our tiny breakout board for the Maxim MAX7456 on-screen display (OSD) chip. 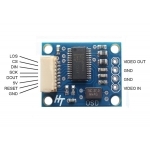 The board is set up with all supporting circuitry to allow you to easily overlay text and/or graphics onto a composite video signal (PAL or NTSC). 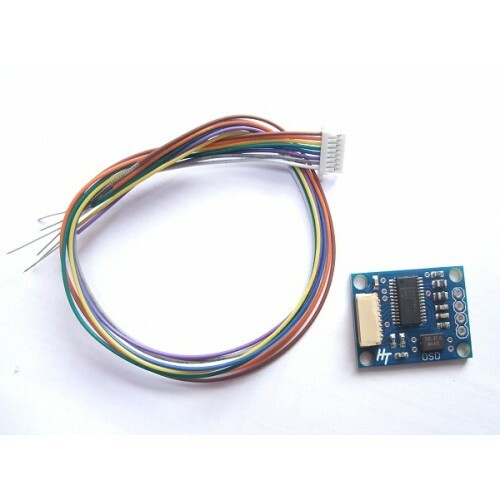 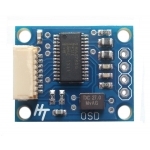 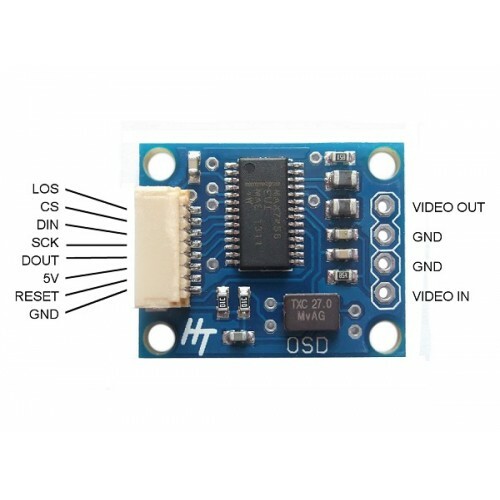 Just connect your video signal to "Video In", connect your display into "Video Out", connect a microcontroller to the SPI interface and supply the board with 5V@100mA (worst case) and you're good to go. 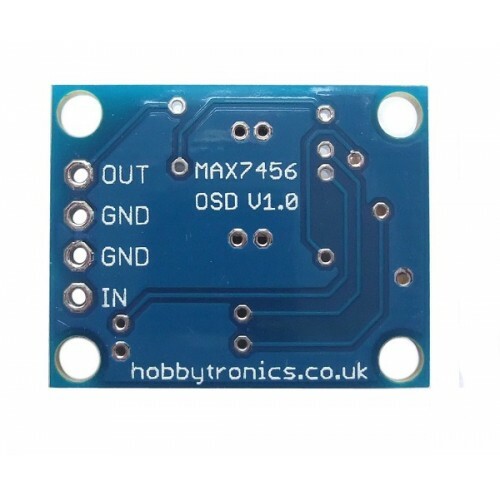 We've made this board as small and light a possible. 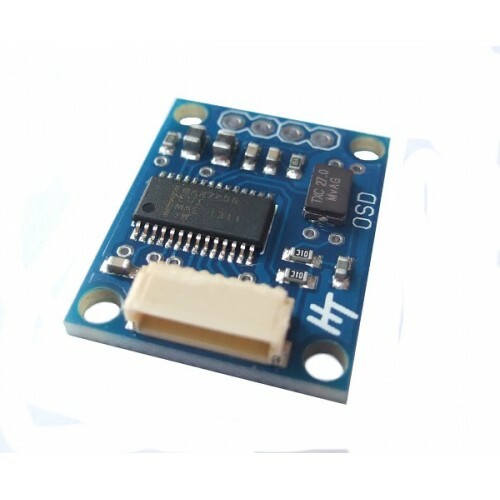 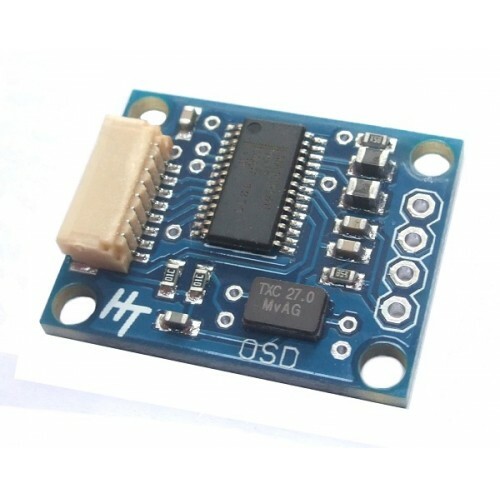 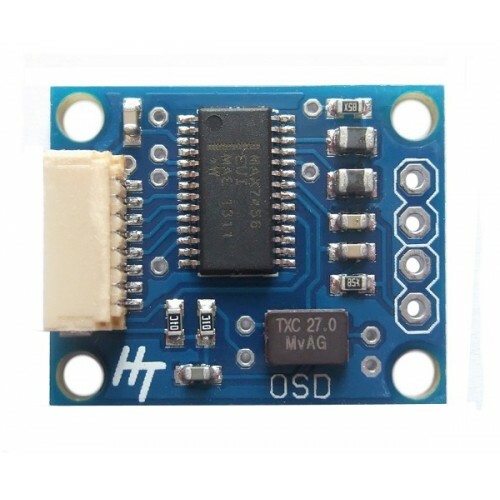 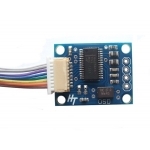 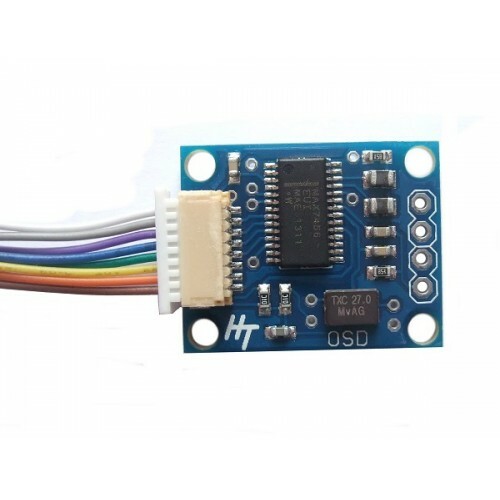 It has an 8-pin JST socket on the board for power and SPI connections, and is supplied with a matching wired plug. 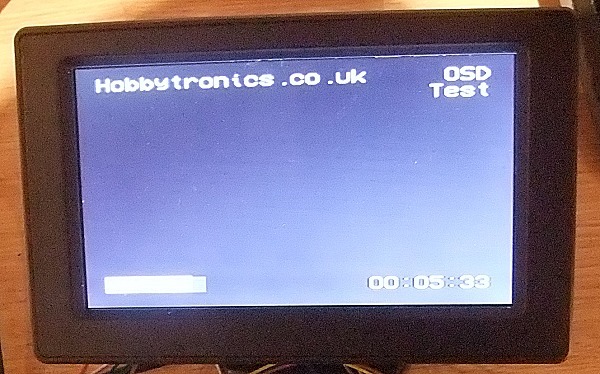 Ok, it's not the best picture, but the above image shows our example Arduino code displaying text on a 7in monitor. 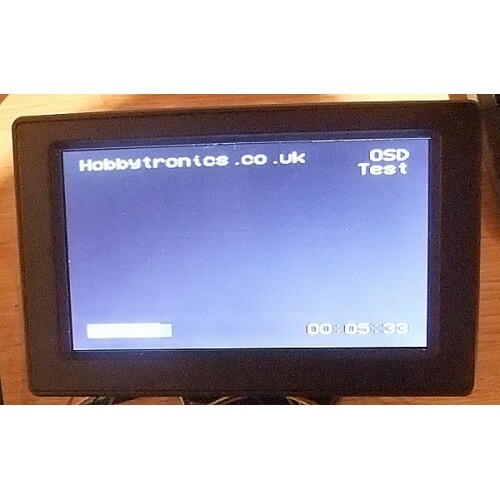 We are working on a short video and hope to have this available shortly.